Balmoral Accountancy Services | Accountants Durham, Accountants Newcastles, Accounts, Taxation, Bookkeeping. 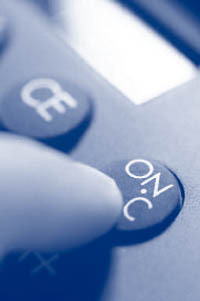 Accountants Durham, Accountants Newcastles, Accounts, Taxation, Bookkeeping. Balmoral Accountancy Services is a highly experienced firm serving the Newcastle, Sunderland, Durham and all surrounding areas. We offer a range of accountancy services designed to meet the individual needs of each client. Balmoral Accountancy Services prides itself on our personal, proactive approach, even offering out of office hours meetings to suit the client’s requirements if necessary. With over 20 year’s experience, Balmoral Accountancy Services has built up a large and varied solid client base pleased with the high level of service and attention provided. To learn how we can meet your needs, Balmoral Accountancy Services offers an initial free of charge meeting to discuss your situation. Contact us to learn more. General accountancy preparation for subcontractors, sole traders, partnerships and limited companies. This includes annual accounts preparation and monthly management accounts and reviews. Preparation of final accounts for the above classes and preparation of Limited company statutory accounts. Payroll services – preparation of weekly and monthly payrolls. Including all aspects of payroll and year end filing. VAT work – preparation of monthly or quarterly VAT returns. Taxation services. This includes the preparation of individual’s self-assessment returns and Company Corporation Tax returns, online filing etc. Limited company formation services. Includes the initial formation of a Limited company and all company secretarial work. Installation, assistance and training with computerisation of accountancy systems. To include packages such as SAGE, Quickbooks, Clearly Business etc. Initial startups, cashflows and grant applications for all new businesses. For more information on how we can help you or your business, or to arrange an initial free of charge meeting, please contact us at the below address, via telephone or email.